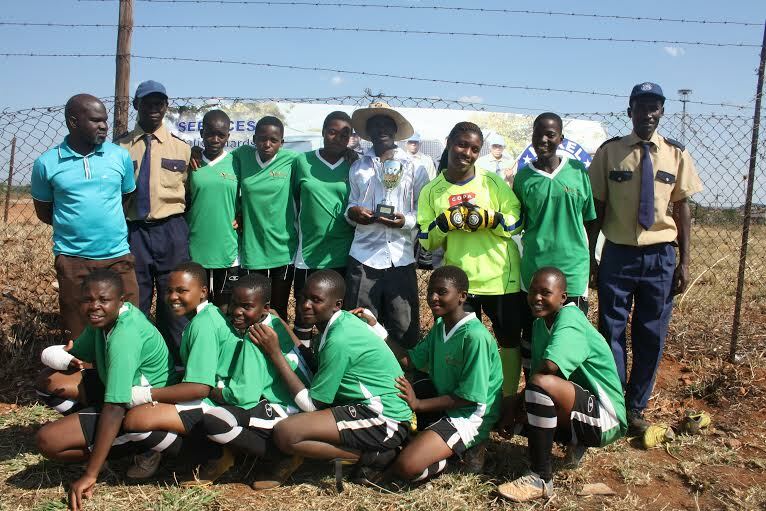 Magwegwe High School Girls Soccer Team was crowned the winners of the Nokel Security Sponsored Cup 2015 last Sartuday at Sizinda grounds after beating In-Line Academy 4-3 on penalties, having played to a goalless draw. Magwegwe came as runners up from group A-which was made up of four teams, In-line Academy, Heart of Ork and Street Set. In-line led the log with 9points from three matches. 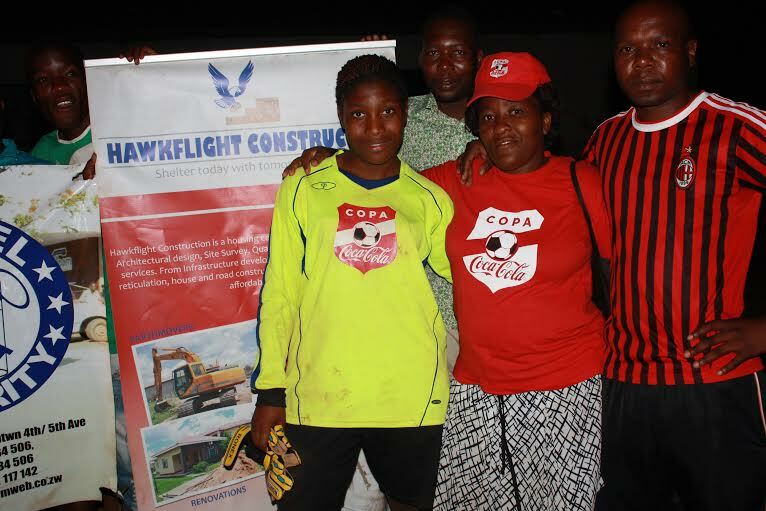 Goalkeeper of the Tournament, and her Technical Team. On their way to the final, In-line Academy won every match and could have been crowned Champions, if they had utilised their chances in normal time of play. In-line Academy the second runners up to the Nokel Sponsored Soccer Tournament –Pic by James Sithole. In the first semi-final, two first half goals were enough for In-line Academy to book their spot in the finals dismissing ZRP who are the current log leaders in the 1st Division with a gap of five points from the runners up. The Black Boots Queens were humbled to a goal to nil by Magwegwe in the second semi final. Much to the delight of the crowd Magwegwe took an early lead and park what is today known as the “the Bus”, only for the Black Boots Queens to struggle penetrating the back line, it ended 1 nil. Coach Anele –Magwegwe –said initially they had not planned to attend the tournament but he was happy with the achievement it builds confidence to his players. “We had not planned to attend the tournament the girls were not ready they had so many excuses but on the last day we thought it was worth a trial and l am happy we won the Cup”. In group B-ZRP led the log with 4 points followed by Black Boots Queens with four points and a minus goal. At the bottom of the log was Barrow who was knocked out of the tournament early. One would have expected In-line to crush Magwegwe due to their much organised play but ‘the silent killers’ pulled a surprise package with their Captain in between the goals pulling some top notch displays. 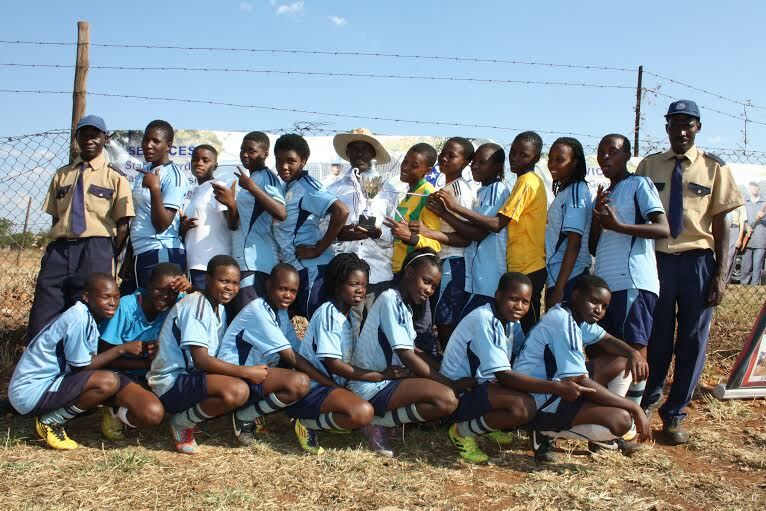 The tournament dubbed to unite women’s football soccer teams in Bulawayo certainly did so, evidently having seven teams out of the ten which were expected. Some of the teams playing in the National league-the Women’s Super League and some trading in the First Division it was certainly a day to remember. Tournament organiser L.Mangena of Street Set, said “the tournament was meant to promote women’s football, of course the winners expect something from us but it was to unite Bulawayo teams and take back Bulawayo where it belongs in the top in women football nationwide, but all in all thank you for being part of the proceedings next time we are hoping to be called by other teams to play”. The Nokel Security Cup meant that teams from the Regional league had a chance to trade with teams in the National Super League and it was a much welcomed move. Previous articleWill Muringa Music Replace Urban Grooves?